Railway in Calder serves food. The pub serves real ale. 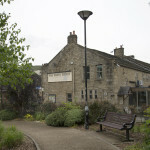 Hebden Bridge Sports & Social Club in Calder serves food. The pub serves real ale. 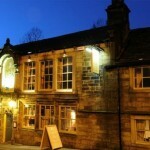 Crown Inn in Calder has accommodation. The pub has disabled facilities, it gives a warm welcome to dogs and their owners. Crown Inn is a family friendly pub. The pub serves food, it serves real ale. Crown Inn has free WiFi. The pub is a member of Cask Marque. 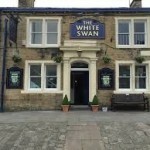 White Swan in Calder serves food. The pub has an outside area, it serves real ale. White Swan shows football on TV. The pub has terrestrial TV. The White Lion is a traditional coaching inn; with exposed timber and masonry, an abundance of comfortable corners to hide in, and always a warm and friendly atmosphere. 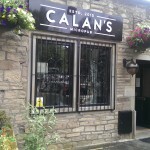 Calan's Micropub in Hebden Bridge serves real ale. The pub holds quiz nights. Shoulder of Mutton in Hebden Bridge has a beer garden. The pub has disabled facilities, it gives a warm welcome to dogs and their owners. Shoulder of Mutton is a family friendly pub. The pub serves food, it has an outside area. Shoulder of Mutton serves real ale. The pub has a real fire, it has a smoking area. Shoulder of Mutton has free WiFi. The pub has a big screen, it shows football on TV. Shoulder of Mutton has Sky Sports. The pub has terrestrial TV, it is a member of Cask Marque. 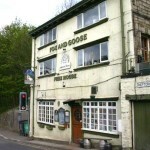 Inn On The Bridge in Hebden Bridge is a family friendly pub. The pub serves food, it has an outside area. Inn On The Bridge serves real ale. 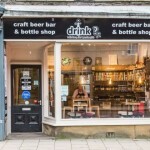 The Fox Friends are a group of people who have come together to save their well-loved local by turning it into West Yorkshire’s first co-operative pub. Stubbing Wharf in Hebden Bridge has a car park. The pub has a function room that can be booked, it has an outside area. Stubbing Wharf serves real ale. The pub has a smoking area, it has free WiFi. Stubbing Wharf is a member of Cask Marque. Riverside country gastropub with stylish en suite rooms, a beauty salon and meeting space. 10/05/2014 A real village pub. No chrome or tellies blaring. 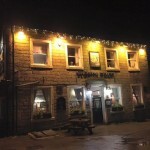 Cross Inn in Heptonstall serves food. The pub serves real ale. Hare & Hounds in Wadsworth has accommodation. The pub welcomes customers with campervans, it has a car park. Hare & Hounds gives a warm welcome to dogs and their owners. The pub is a family friendly pub, it serves food. Hare & Hounds has an outside area. The pub serves real ale, it has a smoking area. Hare & Hounds has free WiFi. The pub has a dart board, it holds quiz nights. Hare & Hounds has a big screen. The pub is a member of Cask Marque. 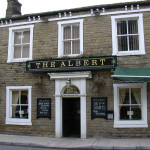 We are a friendly pub located in this beautiful Halifax village just outside the popular tourist destination of Hebden Bridge. Shoulder Of Mutton Inn in Mytholmroyd has a car park. The pub has an outside area, it has a smoking area. White Lion in Mytholmroyd has a beer garden. The pub has a car park, it gives a warm welcome to dogs and their owners. White Lion is a family friendly pub. The pub serves food, it has a function room that can be booked. 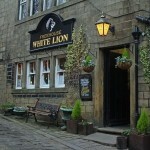 White Lion has an outside area. The pub has a smoking area, it has a dart board. White Lion has a pool table. The pub holds quiz nights.